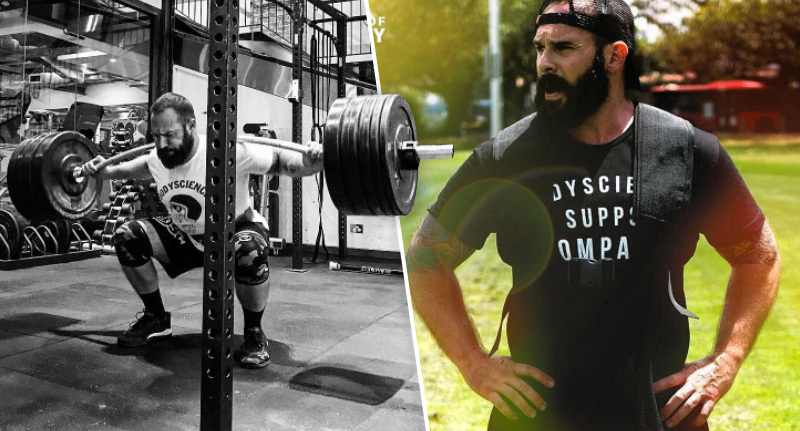 Kevin Toonen is a former soldier and all-round badass – and he wants to help you be more badass. To be honest, I’d listen to what he has to say because he doesn’t seem like the sort of guy you should say no to. The 38-year-old tank is the strength and conditioning coach for the Special Forces and he spent 18 years in the armed forces, serving in Afghanistan and East Timor. Meanwhile, the only thing I’ve dedicated 18 years of my life to is Pokemon Red. Still I guess we both know a thing or two about battles. Seriously though, Kevin shared some tips for being a strong superman like him to the Daily Mail. The fitter and stronger you are, the better prepared you’re going to be when the worst case scenario comes. Understandably the special forces aren’t fussed about ‘looking good in a tight shirt,’ they work towards actual practical strength that will come in handy in battlefield situations and actually potentially save lives. They do this by ‘work[ing] a lot on trunk strength and leg strength making sure they’re fit and strong.’ While a lot of people are in the gym trying to look good, there is no point of looking strong if it’s just for show. Just look at World’s Strongest Man contestants, those guys look very different to Arnie and they can help drag your lorry if it breaks down. In society, a lot of people make it OK to say that trying is good enough, when they really didn’t give it 100 per cent. They really gave it a 50 per cent go. Kevin sounds like a very unforgiving taskmaster, but this is a really good point. When you see someone in the gym doing a gentle jog on the running machine then treating themselves at the vending machine, what was the actual point? Doing stuff 100% is good advice for life both in and out of the gym to be fair. You need to write them down and see them every day. You also need to tell someone about it. You need to be vocal about your goals so you’re kept honest. This is an excellent tip for achieving goals, from the gym to quitting smoking. If you tell someone you’re going to do it the social pressure of failing publicly is often a much greater motivator than your own internal will-power. Also, it’s not enough to tell your partner as they tend to be very forgiving of you falling short of your goals. They’ll help encourage you to skip the gym as a ‘treat’ because they like you and want you to be happy. If you really want to be held to your goals tell a best mate or a sibling, those bastards love to see you suffer. So those are Kevin’s three tips for training like the special forces. Simple sounding stuff, but tricky to put into practice.